Complete repair manual / service manual / workshop manual for Alfa Romeo Sprint All models 1976 1977 1978 1979 1980 1981 1982 1983 1984 1985 1986 1987 1988 1989. These manuals are used by Alfa Romeo repair mechanics, they contain very detailed diagrams and descriptions. The manuals give comprehensive information on your parts for Alfa Romeo and much more. At the click of a mouse you have access to the most comprehensive diagnostic, repair and maintenance information as used by professional mechanics, technicians and repair workshops. 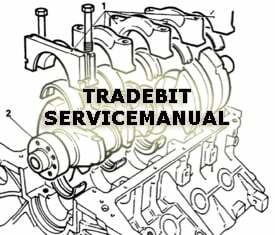 This file is sold by servicemanual, an independent seller on Tradebit.